I'm working a feedback form for a clinical platform which is used by health care providers (mainly doctors). 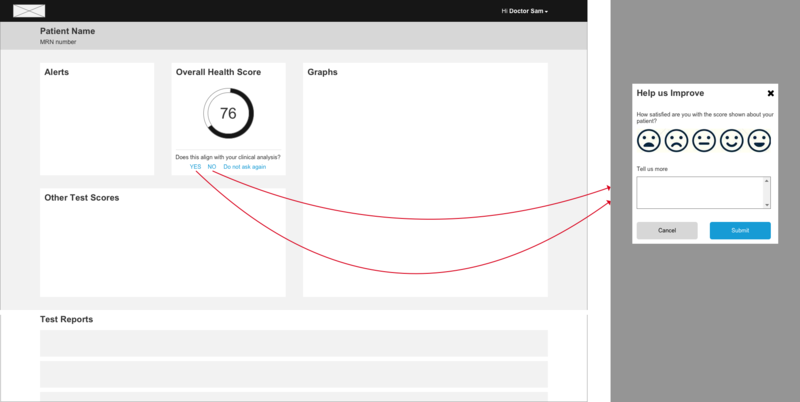 The website has a patient dashboard where the doctor can see the patients clinical record like his test scores and more. 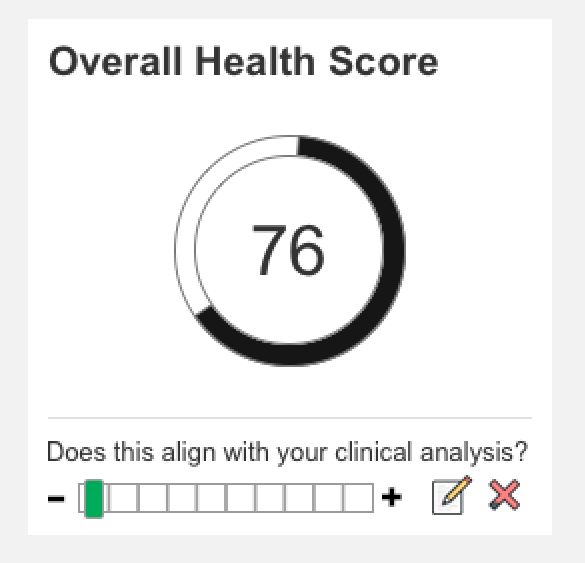 Now, we would like to ask for user feedback (mainly from doctors) on a specific patient detail on the website to understand how much the info shown is in alignment with their clinical judgment. Will using emoji's to rate something avoid confusion and be more clear? Here is a really good example from one of the food ordering site: Swiggy where once you order your food and next time you are on the site, the highlighted area pops in at the bottom right corner without actually blocking me from using the site. And if you click on it, the review is collected just in 2 clicks. Show/Hide feedbacks - one switch for a whole page. Estimation - one element for each info block in a page. Show/hide switch could be located at page's header and made visibly emphasized showing importance of this feature. When enabled it makes all feedback blocks in a page visible and user can leave feedbacks. When disabled it will keep page in usual workable state. This element could change its attributes depending on feedbacks already made by user - red color if no fidbacks and green color if all feedbacks are provided as well as 'Thank you' text for this. Estimation block is single button icon in a header of each information block - green check mark if feedback is provided and red question mark otherwise. Clicking the button will activate your desired feedback form. Looks very reasonable to me. I think this unobtrusive way of asking for feedback is quite common. Rating bar from - to + : the rating bar helps to avoid any popup level status. First icon: write us more, to get more precise feedback if necessary. Second icon: close this form, the immediate option to ignore/hide the feedback prompt. Not the answer you're looking for? Browse other questions tagged website-design forms popup ratings user-feedback or ask your own question. What is the best way to ask for a specific amount? What is the strategy for determining how to request for review or feedback? What is the best way to get good feedback on my designs from my team? Best way to show a rating. Any specific reason behind using stars? Best moment to ask for feedback why the user is not converting? Should I ask for positive/negative feedback on a chat system? Best way to ask user to input real phone number?